The book and CD are GREAT! Wow! The book is pretty wonderful on its own, a nice collection of tunes, with everything meticulously transcribed and explained in the text. The CD’s though, are what really blew me away. Your explanations of not only the tunes, but also the ornamentations and other techniques that give them their character, is unique, amazing, and incredibly valuable! 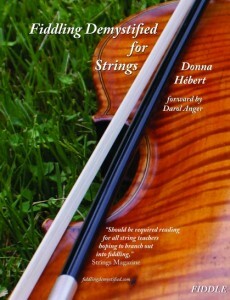 What an incredible gift you’ve given to those who aspire to play fiddle and to those of us who don’t but still want to know how to fold fiddle-istic ornaments and techniques into our playing! This is a treasure trove and I’m recommending it to everyone. There is tremendous value here, far beyond what I paid. You should be amazingly proud of yourself and YES … please … get busy on volume two. I’ll buy the first copy!” Wayne Fugate, mandolin player, musical cast member of “Bright Star” on Broadway.